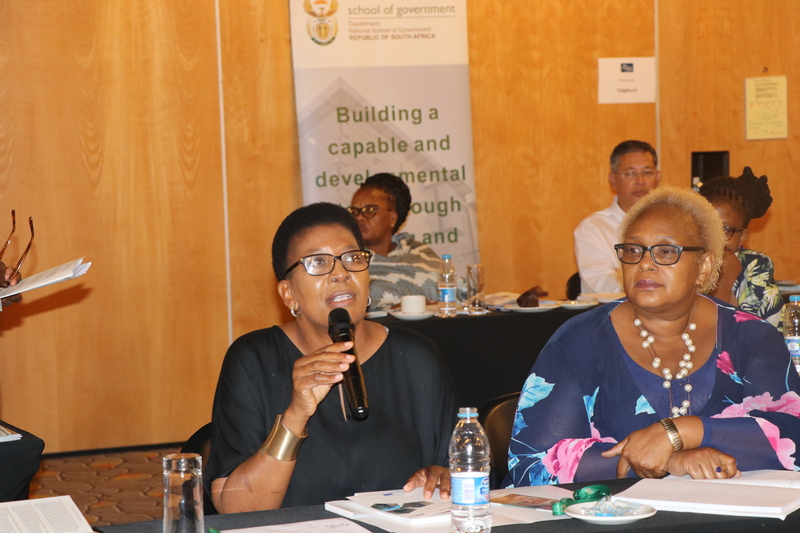 Earlier this month the National School of Government (NSG), with support of the European Union (EU), hosted the first Public Sector Trainers’ Forum (PSTF) Provincial Peer Learning Exchange Seminar for 2019. The Seminar comprises of four aspect however, only three were covered. Among the aspects that were specifically dealt during the Seminar included how Human Resource Development (HRD) practitioners facilitate the monitoring and evaluation of training programmes, with a view to selecting only the best for their department’s officials. In his speech, Dr Thami Shezi outlined the partnership between the NSG and EU. He also described how the Provincial Peer Learning Exchange Seminars are funded through the Public Service Training and Capacity Building Programme as a result of the NSG/EU partnership. 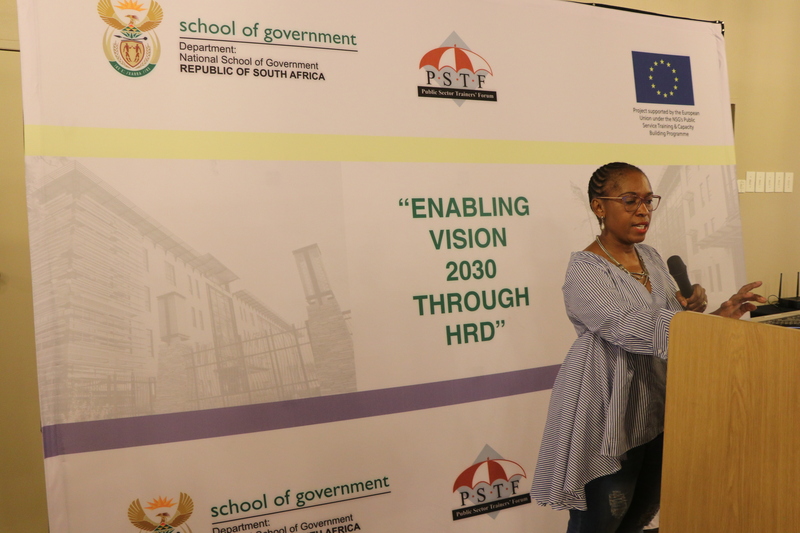 Ms Maletsha Tlaletsi from Northern Cape Office of the Premier delivered the key note address where she conveyed a word of appreciation for the work done by the PSTF Advisory Committee. In attendance was also Ms Suzanne Hattingh who heads a Human Resource Development consultancy specialising in individual and organisational performance improvement. Ms Hattingh facilitated the first session of the Seminar that dealt with identifying training and performance gaps. The second facilitator, Dr Lord Mawuko-Yevugah, currently a Senior Lecturer and Head of Department for Public Management and International Relations at the Ghana Institute of Management and Public Administration (GIMPA), shared insights on how technology can be leveraged to improve the learning and development cycle. On day two, the third and final session was facilitated by Dr Peter Wandwasi where issues pertaining to monitoring and evaluation of training and impact assessment were covered. The well attended and robust seminar also formed as a build up to the upcoming PSTF Conference scheduled to take place later this year. The introduction of the Compulsory and Mandatory Programmes which come into effect from 01 April 2019 was also highlighted. HRD is regarded as the most powerful tool to change any country and is paramount in building individuals who are able to solve societal problems. There is also a need to increase high quality, relevant education in order to reduce the triple challenges of inequality, poverty and unemployment.